Prior to looking for a house of our own in Adelaide, if I had to outline my knowledge of modernist architecture, I might have mumbled something about large windows, square design, perhaps referred to Danish furniture and that would be it. Modernism & I have never been buddies (until now). While looking for our house in Adelaide we stumbled onto a couple of ingeneous houses that piqued our interest in 1950’s & 1960’s house design. They are both located very close to the house we eventually bought (the suburb of Beaumont) and are perfectly suited to their locations. 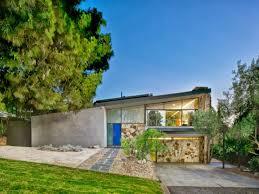 The first one is designed by Harry Siedler – one of Australia’s major architectural heroes. The other a similar design is one which we walked through several times. 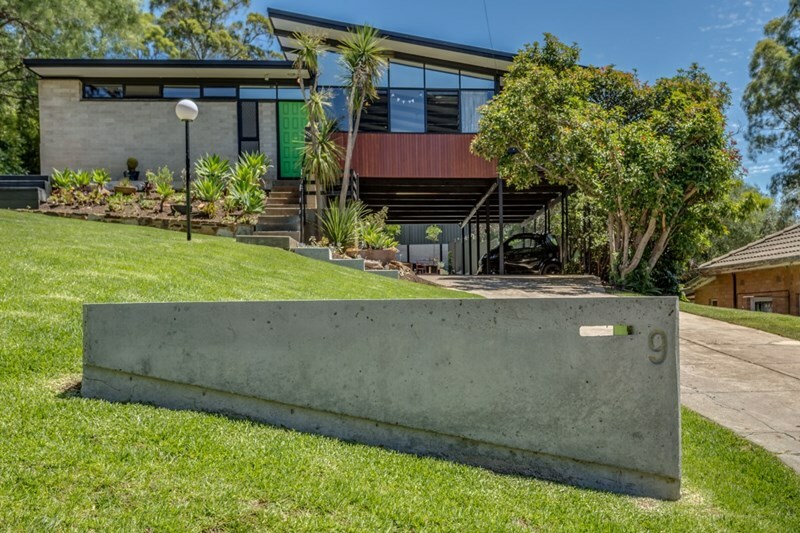 The second (bright and simple house) opened up our eyes to Modernist architecture, especially since it was listed on an incredible site devoted to buildings of that era Modernist Australia, a go-to for all the nations modernist real estate news and sales. Thus began a new infatuation with Modernism. Using natures elements for energy use in the home – cross-ventilation for cooling & solar passive design. We knew our house was designed this way due to the crazy 45 degree angled way it sits on the block for maximum orientation. Flat or single angled roofline (ours is flat). Open plan living, that includes a sense continuity between the outside & inside, including large and/or floor to ceiling windows and abundant relaxed informal living areas. Clean lines and lack of unnecessary decorative and ornate styling such as ceiling roses, iron lacework etc. The most we have is a bit of timber panelling & copper fireplace. The use of industrial-style materials – in the case of our house we have factory sized steel beams in the retreat, lots of brick and natural surfaces like wood paneling. In essence, the features of these houses are akin to a modern Australian sustainability check-list. While these simple homes have experienced a resurgence in design circles, too many are still being demolished for bloated examples of faux-Victorian or Neo-Asian boxes. What is delightful is that with these homes that outside connectivity is always a high priority. Decks & terraces feature, in addition to thoughtful light positioning. Designs are typically “crafted” – architects used craftsmen to complete details, gave strong attention to detail and were constructed from durable higher end materials like brick, timber and glass as mentioned. Ultimately designs were primarily to create a positive human dwelling, with only what is necessary and nothing extra. Really, nothing wasted. Simple, just like environmental responsibility. What we are still marvelling at is how private, spacious and solid our home is. We have been converted to Modernism. Can’t wait to convert this thing into a 2015 sustainable marvel. The architects would be pleased.